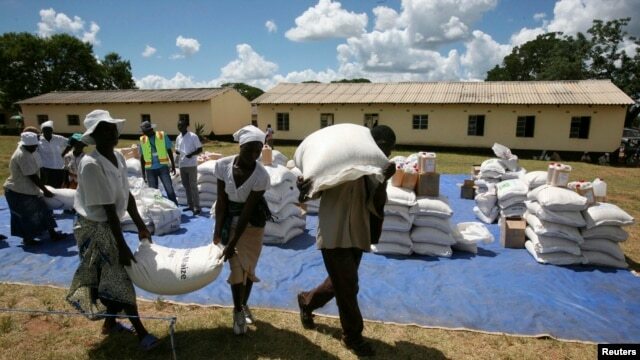 The U.S. ambassador to Zimbabwe announced a $4 million grant to the U.N. World Food Program (WFP), heeding a call from the U.N. World Food Program for further help with the food crisis in Zimbabwe, where more than two million people are facing hunger or in some cases, starvation. The donation brings the United States’ contribution toward fighting hunger in Zimbabwe to $29 million this year, but some Zimbabweans blame the West for the country’s food shortages. U.S. ambassador Bruce Wharton announced the donation Tuesday while visiting Umguza, a rural area in Matabeleland North province, about 400 kilometers southwest of Harare.Some demonstrators protesting U.S. sanctions against President Robert Mugabe and his allies were restrained by fellow villagers during the announcement. The World Food Program says Matabeleland North is one of the four provinces where food situation is dire, especially in rural areas. Wharton referred to the demonstration as an act of freedom of expression. Seasonal humanitarian assistance has become the norm in Zimbabwe since 2000, when agricultural production began a long-term plunge. Authorities attribute the trend to drought, while critics blamed Mugabe’s chaotic land reforms. Since then, maize, Zimbabwe’s staple crop, has been in short supply. 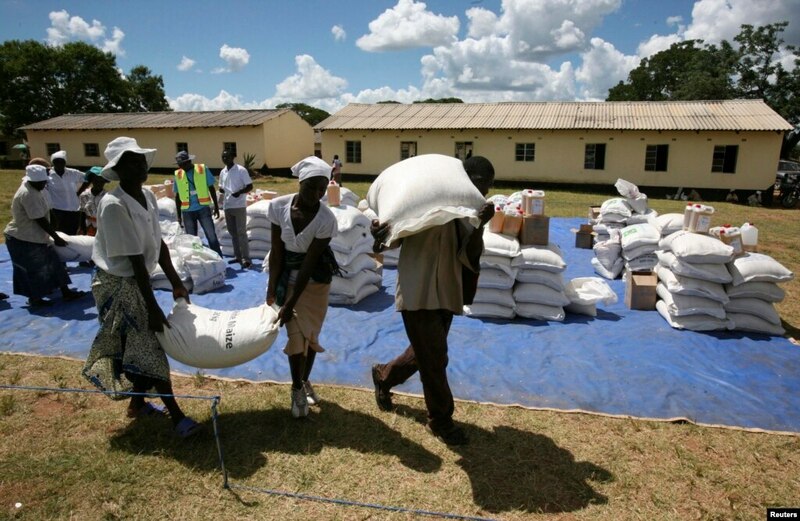 During this so-called “hunger season,” the last three months before harvesting, the WFP is struggling to raise $86 million to feed more than two million hungry Zimbabweans. Robert Tshuma was among those demonstrating during the Wharton’s tour of Umguza. He says the protest was against the financial and travel sanctions the United States and other Western countries have applied against Mugabe and his allies. The sanctions were first applied more than a decade ago, after reports of human rights abuses and election-rigging by the Mugabe government. Map of Zimbabwe showing the province of Matabeleland North perennially affected by starvation. Jennifer Sithole, a widow looking after five children, says all she wants is food assistance. Even with the latest U.S. contribution, the World Food Program still faces shortfalls for its health, nutrition and resilience-building activities in Zimbabwe. The agency says it still needs $60 million during the next six months to fund these programs. So what – This is Zimbabwe! Posted on 11th February 2014 by newsafrica. This entry was posted in Africa, Environment, Food Security, Headlines, USA, USA-Africa Summit, Zimbabwe and tagged Africa, Harare, Matabeleland North Province, Robert Mugabe, Umguza District, United States, United States Ambassador to Zimbabwe, Zimbabwe. Bookmark the permalink.